Russian soldiers load an Iskander-M missile launcher during a military exercise at a firing range in Ussuriysk, Russia on Nov. 17, 2016. (Yuri Smityuk/TASS/Getty Images). The INF Treaty is widely seen as one of the crowning achievements of arms control, banning the possession by two of the world’s leading powers of an entire class of nuclear weapons system. As such, the Trump administration’s declaration late last year that Washington is seek a withdraw from the treaty and has stoked fears about new nuclear arms race. The United States cussing Russia for agreement violation by fielding the 9M729 cruise missile from land-based launchers. Washington set a formal withdrawal process after six months. There is a fear that; stepping away from an INF Treaty could be very harmful and too costly for the United States. 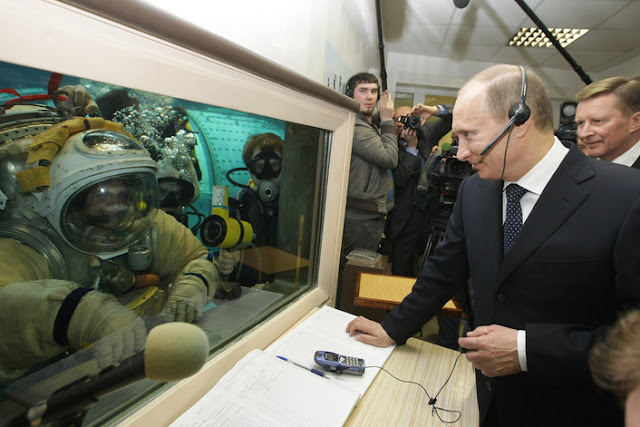 Moscow has little need for an additional nuclear capability. However, after abandonment Russia would benefit greatly from being able to deploy openly new ground-launched conventional missiles—since the door is widely opening for the Russia's military prowess which is currently under constraint by the protocols of the Arms control. Nevertheless, there has been little discussion of the impact scrapping the accord would have on non-nuclear weapons systems in Europe. Despite its name, the INF Treaty doesn’t just prohibits ground-launched missiles with ranges between 500 and 5,500 kilometers (approximately 300 to 3,400 miles); it actually provides for the elimination of all such short, medium, and intermediate-range missiles possessed by both two military mightiest nations, Russia and United States in regardless of the warheads they carry. For this reason, the treaty’s abandonment has grave short-term implications that extend beyond the concern over nukes. INF Treaty would also place a ban on ground-launched missiles with conventional warheads which was not considered a major issue at the time of signing, as such weapons were generally thought of as secondary to their nuclear counterparts. The emerging potential of precision-guided weapons with an extended reach was already clear to some—Nikolai Ogarkov, then the chief of the Soviet general staff, said in 1984 that the availability of those systems could “make it possible to sharply increase (by at least an order of magnitude) the destructive potential of conventional weapons … bringing them closer, so to speak, to weapons of mass destruction in terms of effectiveness.” However, that destructive potential remained to be fully demonstrated, until the 1990 to 1991 Gulf War and subsequent actions in the former Yugoslavia, Afghanistan, Iraq, and Libya validated the view of advocates for precision-guided conventional strike systems, and “Tomahawk diplomacy” entered the U.S. foreign policy lexicon. Russia has redeveloped its precision-guided posture as part of the regeneration of Moscow’s armed forces as a whole. As a matter of policy, Russia has increasingly prioritized conventional strategic strikes as a substitute for some missions previously assigned to its nuclear force. The current Russian Military Doctrine, published in 2014, states that Russia views high-precision weapons as a key element of strategic deterrence. More explicitly, the contemporary version of Russia’s Naval Doctrine, published in 2017, says: “With the development of high-precision weapons, the Navy faces a qualitatively new objective: destruction of [the] enemy’s military and economic potential by striking its vital facilities from the sea.” Russia has matched the evolution of its military strategy on paper with the deployment of systems capable of achieving these objectives. At sea, new and modernized surface ships and submarines now carry the 3M-14 Kalibr land-attack cruise missile—a weapon with a 1,500 to 2,500 kilometer (approximately 930 to 1,550 mile) range. In the air, many Russian Aerospace Force Tu-95 Bear and Tu-160 Blackjack bombers have been equipped with the Kh-101 air-launched cruise missile, which possesses a range of at least 2,500 kilometers. Both of these systems have been used against targets in Syria. Additional air-to-surface weapons remodeled to reinforced bombers and tactical fighters—including the Kh-47M2 Kinzhal and the Kh-50—are either beginning to enter service or are at the development stage. Moscow has also fielded land-based precision-guided weapons, most notably the 9K720 Iskander-M ballistic and 9M728 Iskander-K cruise missile systems. However, under the INF Treaty, these are currently limited to a potential firing range of 499 kilometers (about 300 miles). This presents a major disadvantage to Russia. The U.S. Navy and Air Force, in particular, allow NATO to call on a vast arsenal of cruise missiles that fall outside of the limits of the INF agreement by virtue of being launched from ships, submarines, and aircraft. Lacking the alliance’s resources at sea or in the air, the only way Russia can counter this arsenal is by developing deadlier ground-launched conventional missiles. The scrapping of the INF treaty as it currently stands would make that development far more likely. While the agreement has not entirely succeeded in preventing Russia from fielding weapons that violate its provisions, as the deployment of the 9M729 cruise missile demonstrated, they appear to have only entered service in limited numbers. 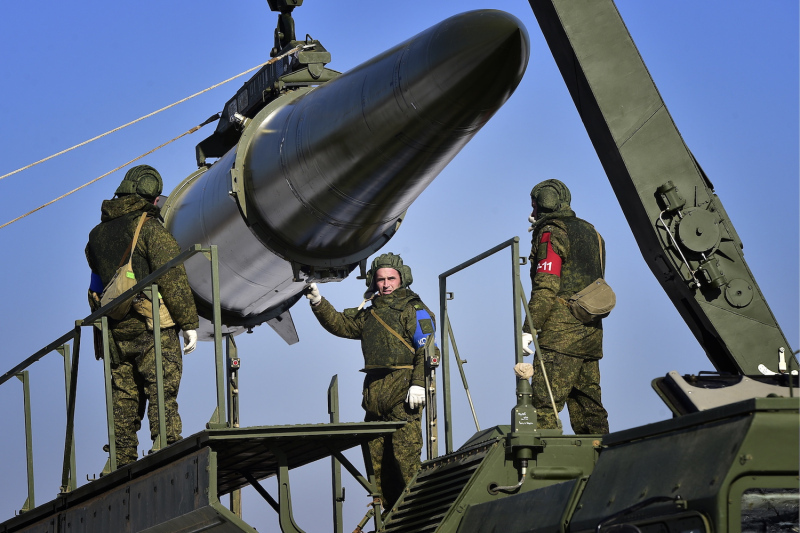 Russia clearly resents the constraints of the INF Treaty: In December 2018, Russian President Vladimir Putin claimed that the agreement amounted to unilateral disarmament. He argued that the Soviet Union did not possess the sea and air-launched intermediate-range weapons the United States held (even though this is untrue). Ever eager to avoid a perception of weakness, Putin then went on to say that Russia did not need such weapons due to its new missile arsenal. He was, however, also keen to highlight how easy it would be to modify Russia’s air and sea-launched missiles to be fired from the ground—perhaps an attempt to troll those who suspect the 9M729 is simply a Kalibr adapted to be launched from a land-based platform.